Do you progress monitor in your classroom? If so, you might have run into the same problem that I was having: keeping my materials organized. I was SO tired of never being able to find my testing materials when I needed them. I either lost my timer, my book, stickers, or got everything ready and didn’t have a pencil on hand! I knew I had to find a better way to manage my materials. This year I came up with a solution to my problem. I now keep everything together in one place! 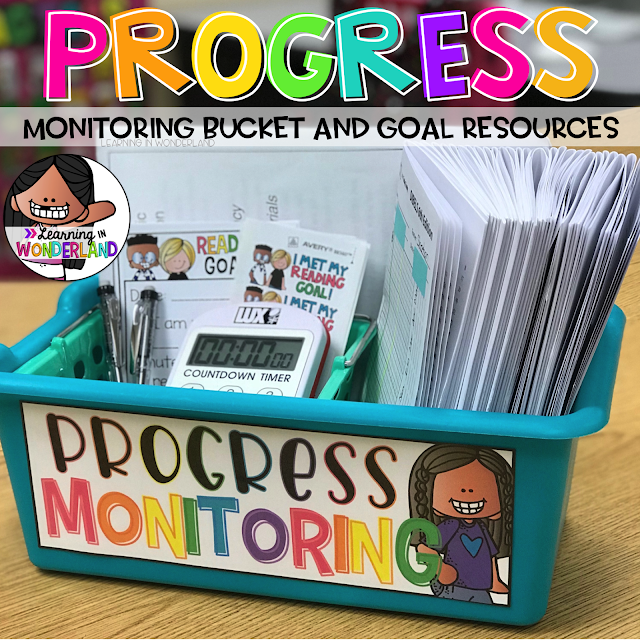 Life has been so much easier thanks to my new progress monitoring bin! I keep it right by my desk so that it's ready to go the moment I need it. I posted the picture below and had lots of questions about what I keep inside my bin and the testing materials that I use. This post will go over those questions. Several years ago, we were required to test our students weekly. 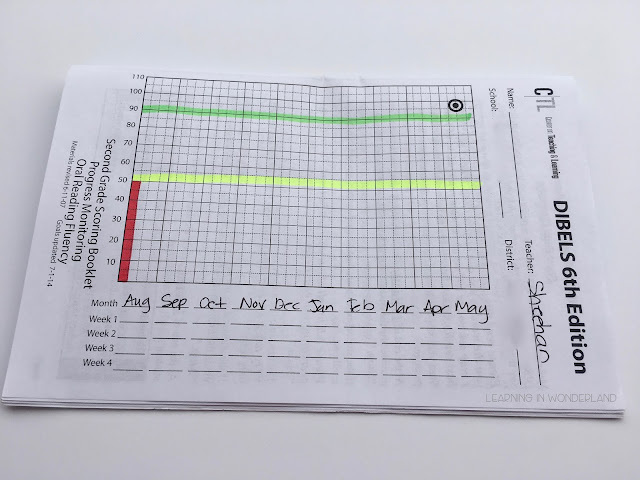 Even though we are no longer required to do this, I found that data so valuable that I have kept testing my students ever since. Progress monitoring gives me a quick snapshot of my kids' reading ability. 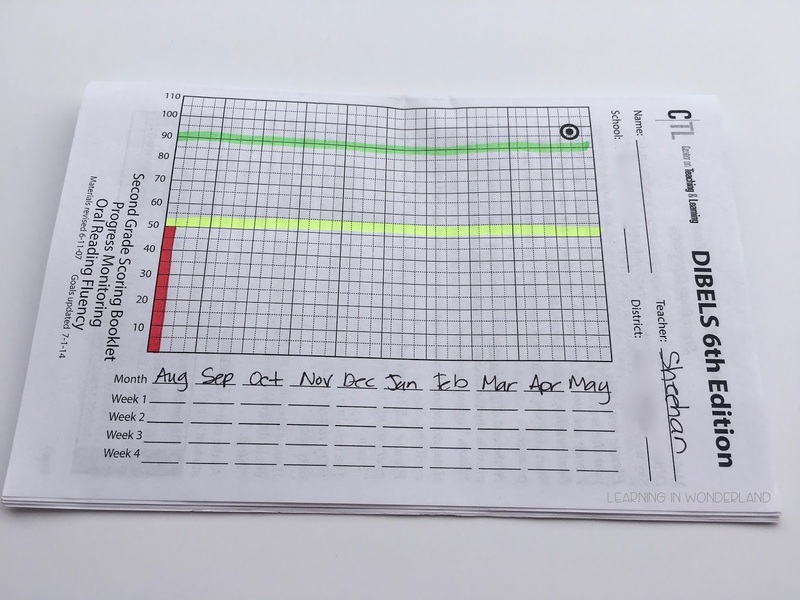 This data is crucial when forming and planning for small groups. 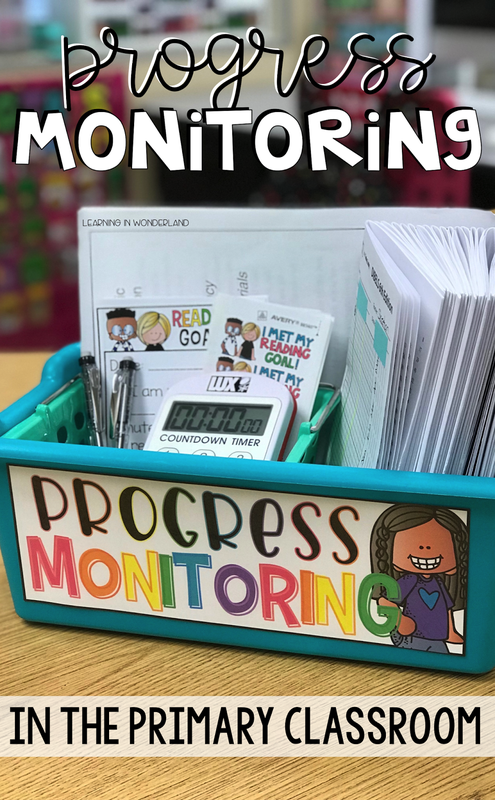 Fluency is such a huge factor in reading comprehension, so knowing how our students are progressing with fluency is a must. Please note that when I say fluency, I don't mean reading as fast as possible. I mean reading at a rate that supports comprehension. 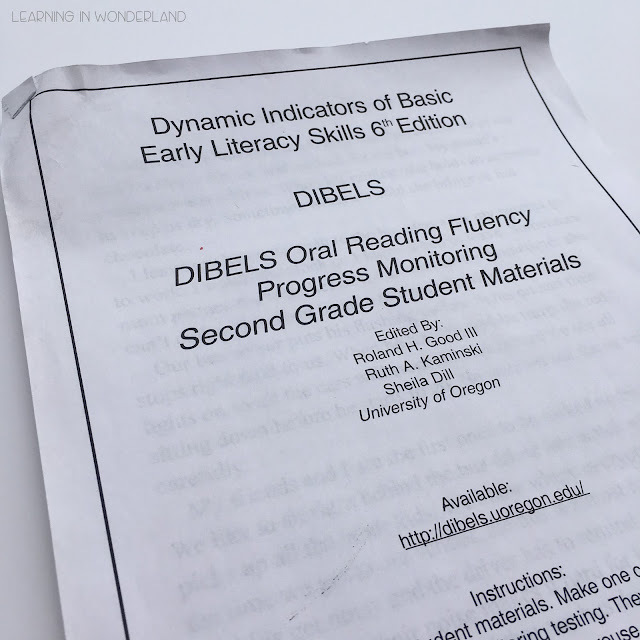 All the testing materials are from the DIBELS website and are FREE to download! If you need copies, you can go HERE and register to download the newest edition. If you don't mind an older edition (I use the 6th because it uses less paper) you can use THIS link instead. So let's dive into this bin and see what's inside! This large book is the one that the kids read from. I would like to laminate the cover and spiral bind it one day, but this staple has worked just fine for the past few years. These books are what I use to mark student errors. 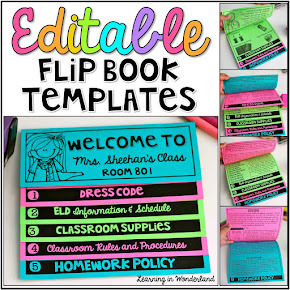 I copy 30 at the beginning of the year so that I have plenty for new students. I added the color-coded sections with highlighters. A few years ago, I did some research while working on my M.A. and I found out that there is a minimum number that needs to be reached in order for students to comprehend. That magic number is 50 WPM in second grade. So anything under 50 WPM is what I think of as the danger zone. My goal is to get my kids out of that zone as quickly as possible. I do not tell my kids that they are in or above the danger zone. This is for my own reference. This is what the cover looks like when it's filled out. 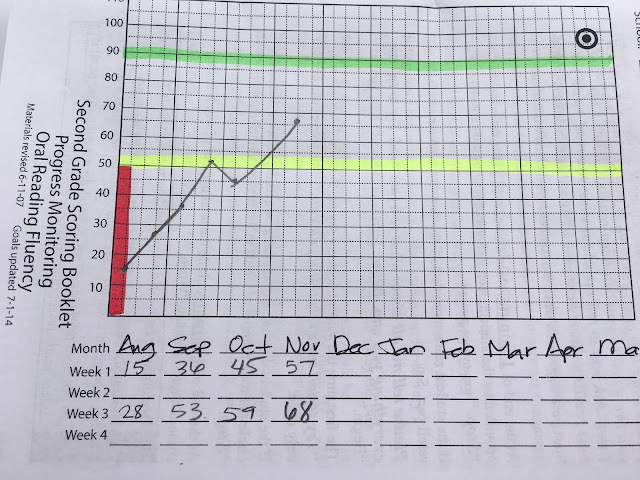 I love the graph because I can quickly see the progress that my kids have made. 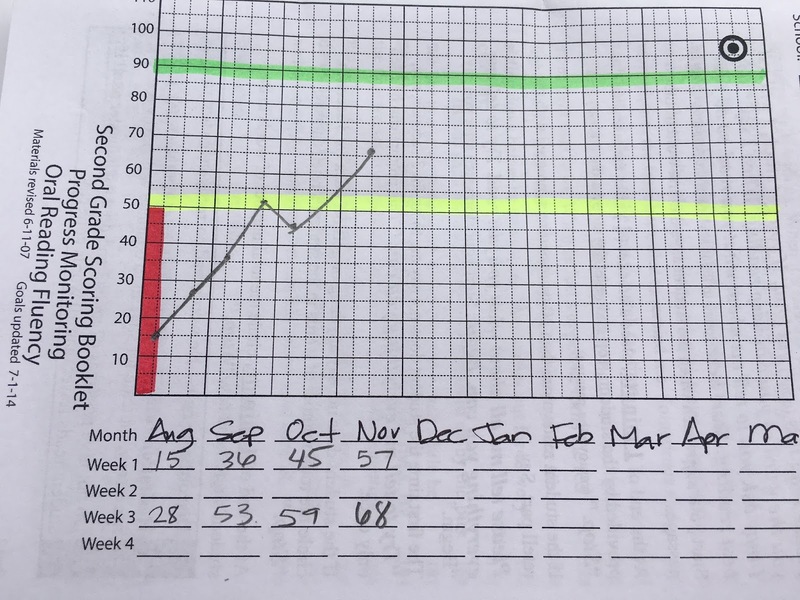 My students and their parents love to see these graphs too! 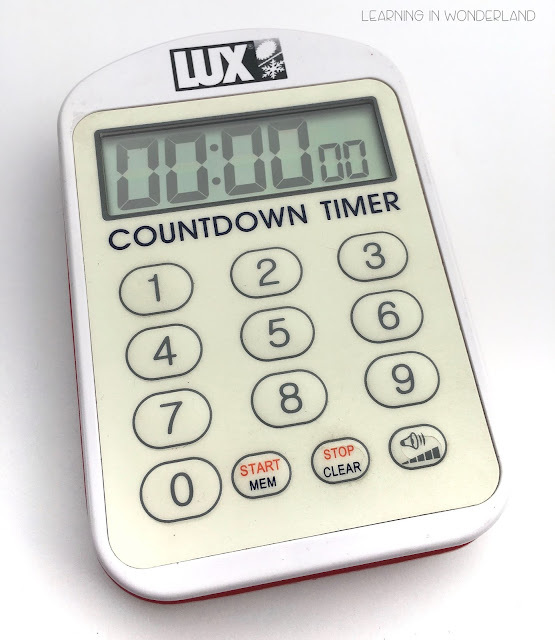 I have one designated timer for progress monitoring. I like to use this one because I can control the volume on it. I keep two pencils ready to go just in case one of them runs out of lead or just stops working. I sometimes will test my students in other rooms (such as the computer lab or the library) and there have been times when we have gotten there and I didn't have a pencil on hand. Super frustrating! These are my all-time favorite mechanical pencils! I tend to press really hard and these can handle the pressure. The notes are so important for parents. 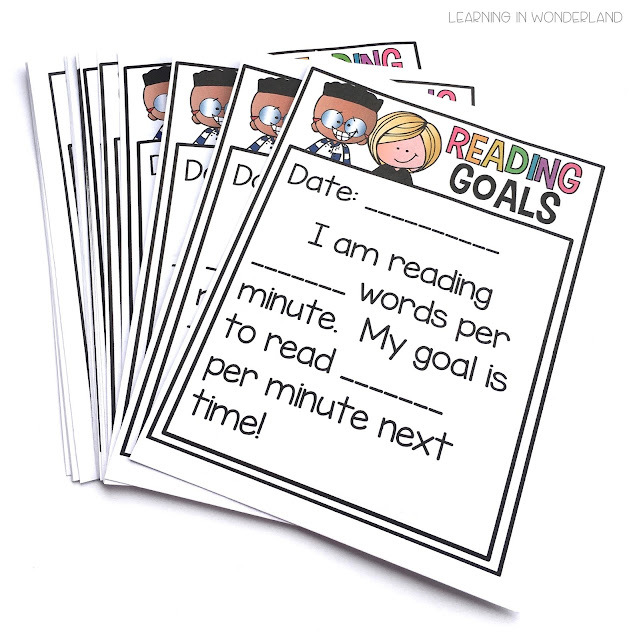 I quickly jot down their score and the student and I come up with a goal (the experts say to only increase it a few words at a time). Parents like to see these notes so that they know how their child is progressing. My kids are obsessed with these stickers! 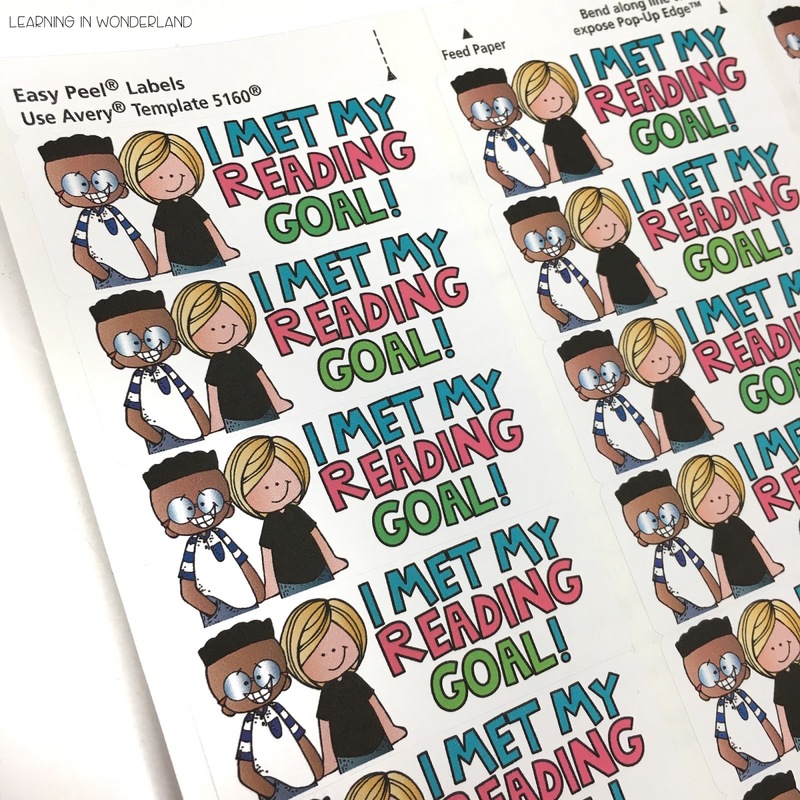 When they reach their goal (the goals are pretty obtainable) they get a sticker. They love to show their friends and other teachers that they reached their reading goals! This is completely optional. I like to reward my kids for their hard work with some sort of goodie. If you are at a school where you can give out treats, Hershey's kisses work really well! I tell them it's a kiss from their teacher and they giggle for a bit about it! 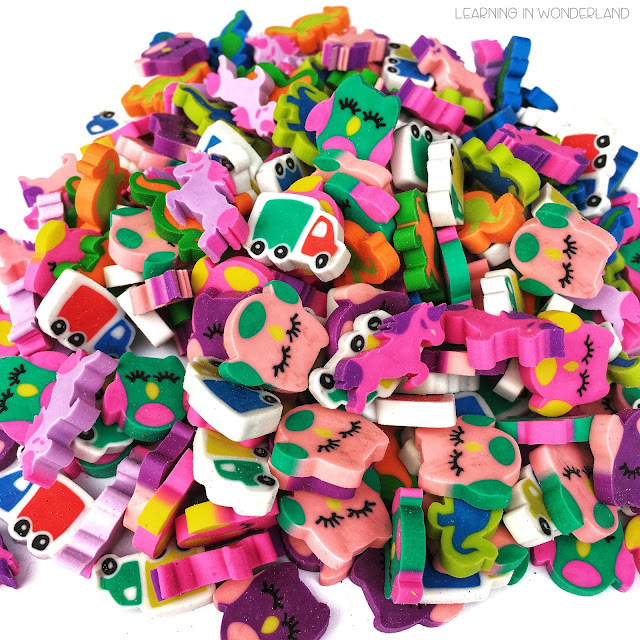 The Target Dollar Spot erasers make perfect rewards too and they only cost $1 for 60 erasers!